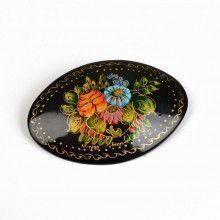 These Russian miniature painting brooches are quite unique. 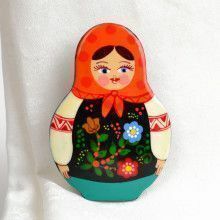 Subjects of the paintings vary from images of Russian fairy tales, folk songs, legends, religious images and figures, and scenes of Russian life. 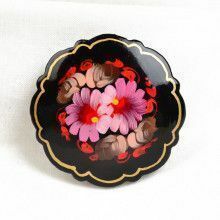 On the backside of each brooch is a safety pin that allows the brooch to securely fasten to clothing. 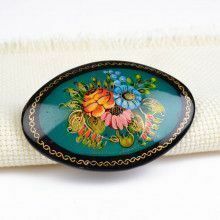 The painting on the brooch is covered with layers of transparent glossy lacquer to protect the painting. 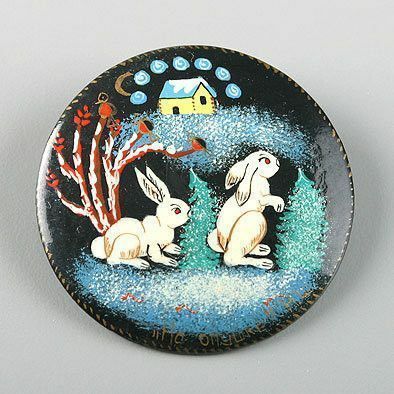 Each brooch is signed by the artist.